We have been working hard to get our weeklong curriculum into more schools around the country and around the world. 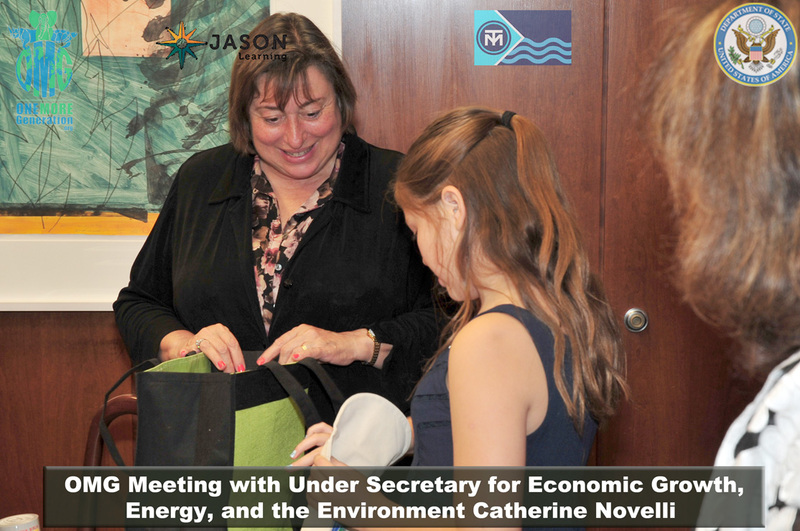 Last June Olivia and Carter were invited to present our curriculum to Under Secretary Catherine Novelli at the US Department of State for possible inclusion as an educational resource for their ‘ocean strategy’. 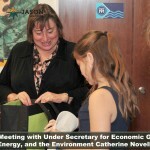 Secretary Novelli loved our program and agreed to support our efforts to get the entire curriculum converted over to an on-line platform with the folks at JASON Learning. Secretary Novelli requested we seek part of the funding needed for the conversion from NOAA since they are also responsible with the reduction of plastic and aluminum debris in our oceans. We are now applying for various grants to facilitate the conversion. We also received a small grant last year from Global Oceans UK that would bring our weeklong curriculum into our first school in the UK. We are now having the entire curriculum evaluated by the educational team at Myscience – National Science Learning Network and National STEM Centre in the UK. The National Science Learning Network comprises the National Science Learning Centre in York, and a wider network of 50 Science Learning Partnerships across England. 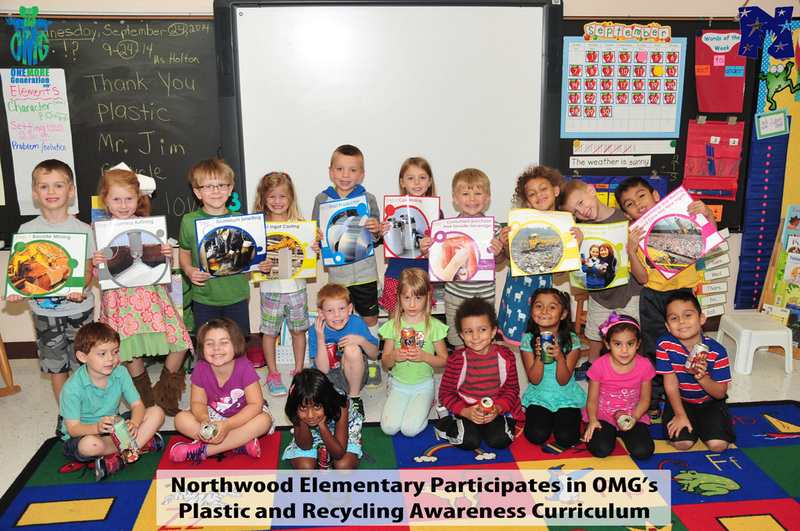 Our goal is to have the program tailored to meet the Standards used in the UK so any school interested will have the ability to teach their students about plastic and aluminum recycling. We have also been working with schools in South Africa and have just completed our first school in Soweto South Africa. So me parts of South Africa are more progressive with plastic and aluminum recycling while we find the more impoverished areas lack the resources needed. Our team in South Africa is therefore targeting the poorer communities with our outreach efforts and the results from our first schools have been amazing. 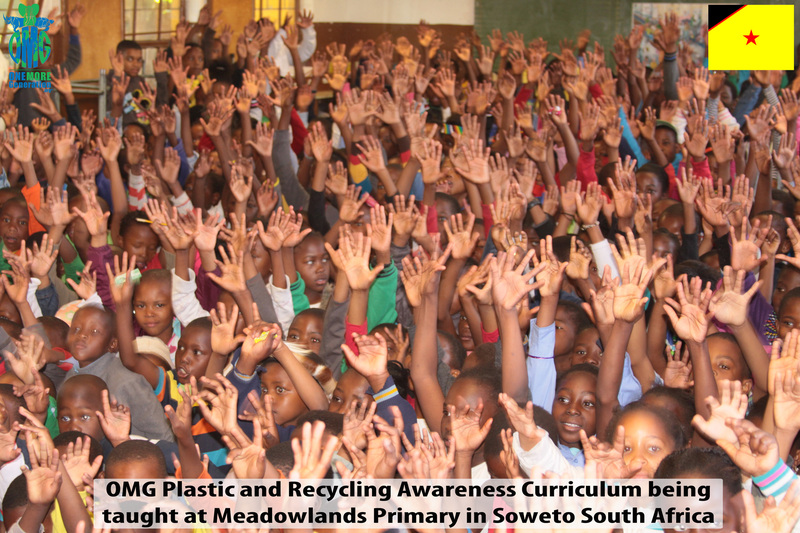 You can see pictures from the event at our FaceBook page at the following link: OMG Curriculum being taught in Meadowlands Primary in Soweto SA. We are also speaking with a group in Kenya who has expressed interest in possibly implementing the weeklong program in a few schools there as well. We will keep you posted on the timing etc. On a local level, we recently completed our weeklong program for the second consecutive year at Northwood Elementary School in Roswell. Our program has been so successful that the principal insisted all new students undergo the weeklong program so to continue the success and momentum of our efforts last year. We will also be teaching the entire program to students at the Fayetteville Elementary School in Fayetteville GA during the week of Feb 23rd 2015. Anyone interested in attending the program and possibly observing the Novelis segment on that Thursday is welcome to attend. 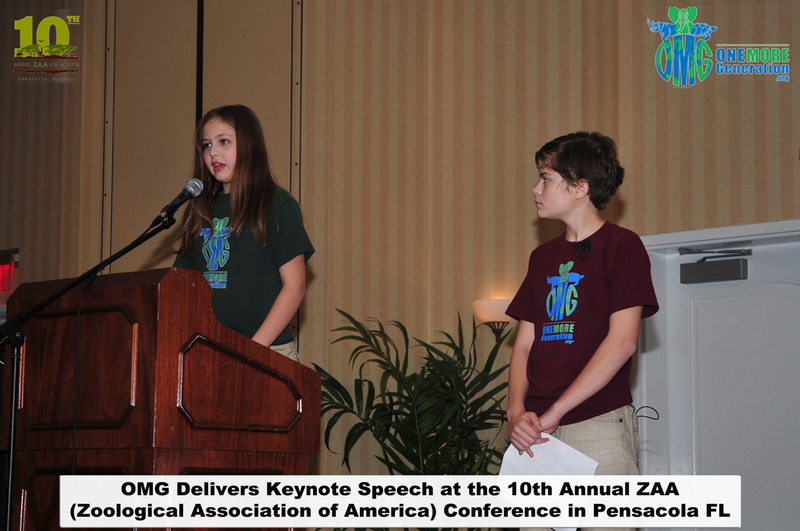 Additionally, Carter and Olivia were Keynote speakers last Nov at the 10th Annual Zoological Association of America where they also touched on the need for environmental education at all animal conservation facilities around the country since plastic and aluminum debris affects so many animals. 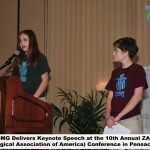 The presentation was so well received that several of the facilities have already started booking the program for their upcoming summer camp program. Stay tuned for more updates throughout the summer. We are all so excited about the opportunity to reach youth in this new arena. We also have board members working for us in Australia, Colombia South America and more recently in China who are already speaking with various organizations to help facilitate the inclusion of the weeklong program in schools in their respective countries. 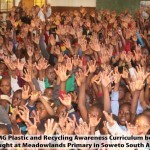 Obviously learning standards and recycling programs vary in each country so we have a learning curve associated with each new venture but together with local organizations and educational entities we are working our way into their Standards to ensure kids around the world learn the right way to handle and recycle plastic and aluminum. Finally, OMG was recently invited to participate in a nine day research voyage in the Caribbean by the research team from the Beautiful Nation Project and Plastic Ocean Project. 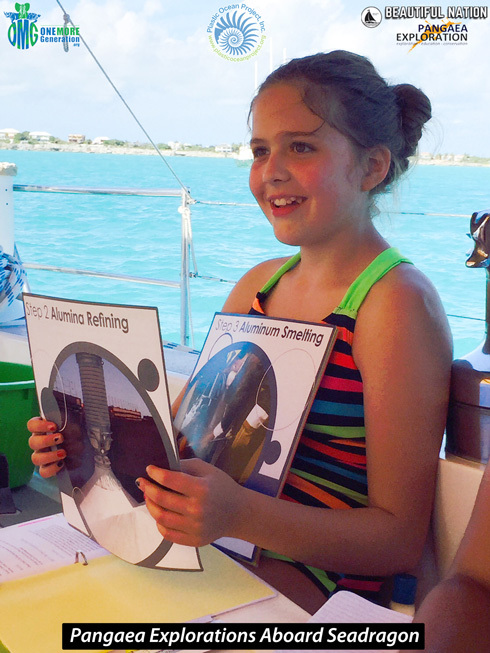 The voyage consisted of a dozen women who are all extremely knowledgeable and passionate about creating curriculum that will teach students about the need to reduce our plastic consumption and to ensure all aluminum used is 100% recycled. 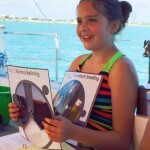 Olivia went along with her mom and presented our weeklong curriculum to the entire team over the course of the voyage. Everyone loved the program and the Novelis segment on a ‘closed-loop recycling system‘ was one of their favorite lesson. The team plans to create various educational videos from the nine day voyage and share with schools globally. Stay tuned for more exciting news on this endeavor as well. If you know of a school of community organization anywhere in the world who might be interested in implementing our weeklong program, please have them contact us via email at info@onemoregeneration.org and we will gladly help them out. 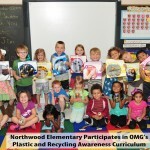 We wish to thank the folks at Novelis for their support and all our OMG Board Members around the world for helping to bring environmental education to the forefront in their respective countries. Thank you again for all your support and we look forward to an amazing year in 2015.